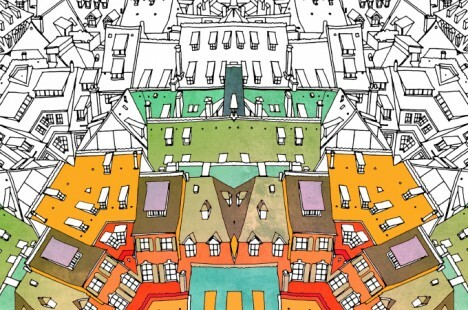 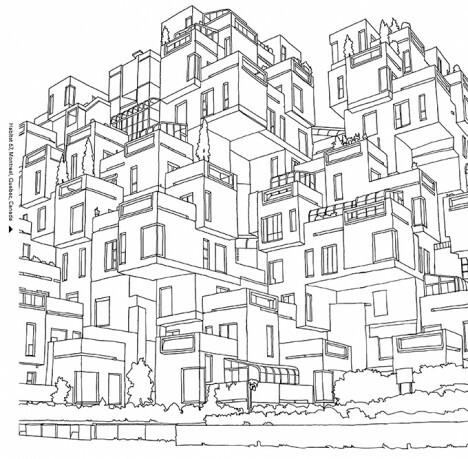 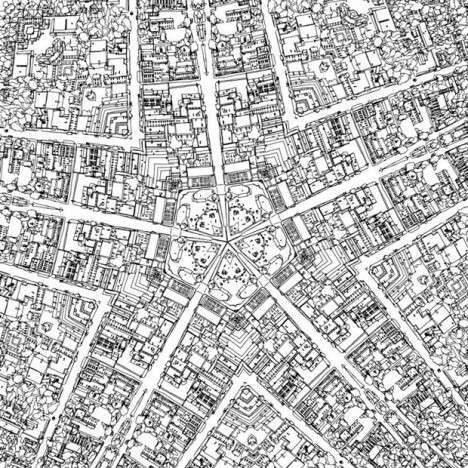 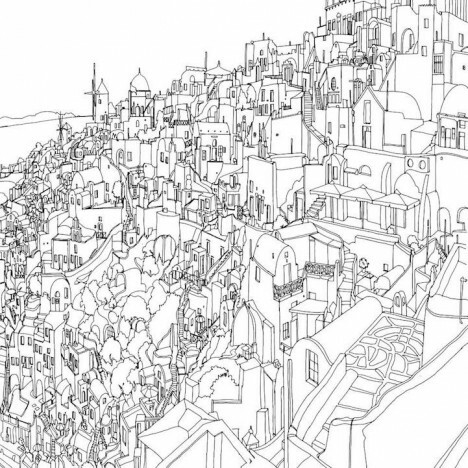 Coloring books are no longer just for kids, as this one designed for adult colorists illustrates in beautiful black and white. 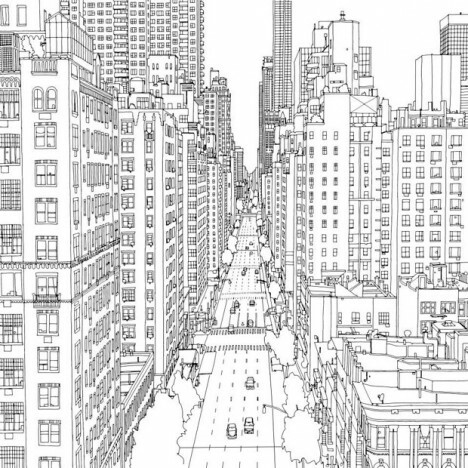 Showing urban scenes both real and imagined, these fictional, actual and hybrid views could take hours each for enthusiasts to fill in, and, psychologists argue, may even profit mental health benefits beyond the fun of simply reliving a childhood activity. 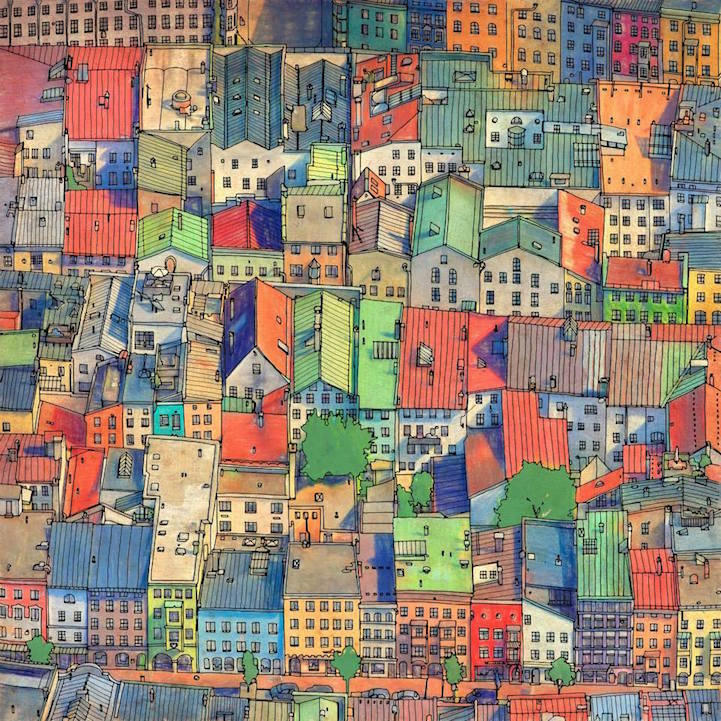 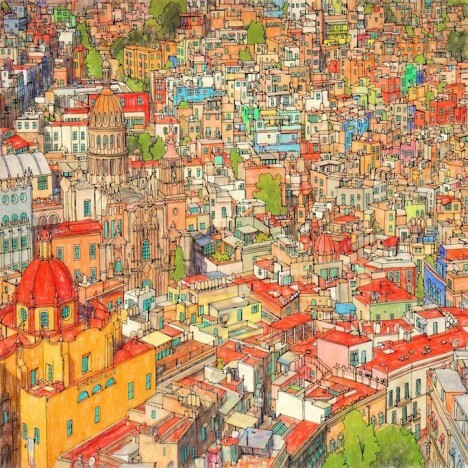 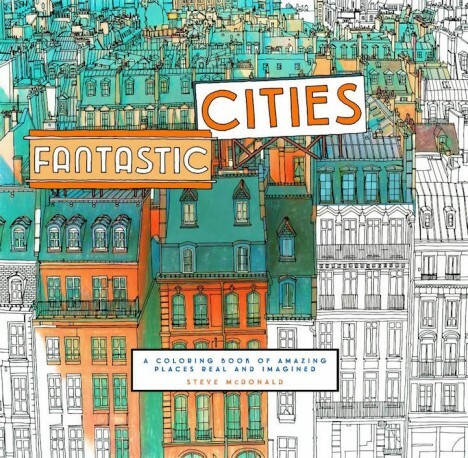 In this book, Steve selected scenes from major cities like New York and San Francisco, providing aerial drawings of real places but also stylized works based on the architectural and urban character of other cities, all with extreme levels of detail that leave readers with much to color.